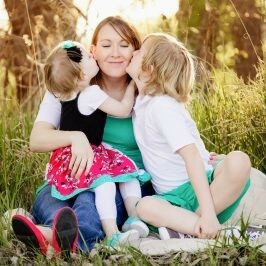 August is a transitional time for many families. The summer is winding down and everyone is gearing up for a new year at school, but there is still summer play to be had before the season ends. The days are still long and the weather is warm enough for preschoolers to be outside and explore. Enjoy the last days of summer (and the first days of school) with the fun activities in this month’s Ways to Play Every Day: August Activity Calendar with your own preschoolers at home, in your childcare rooms, or in the classroom. The calendar activities are prompts for daily learning, creativity, and exploration. 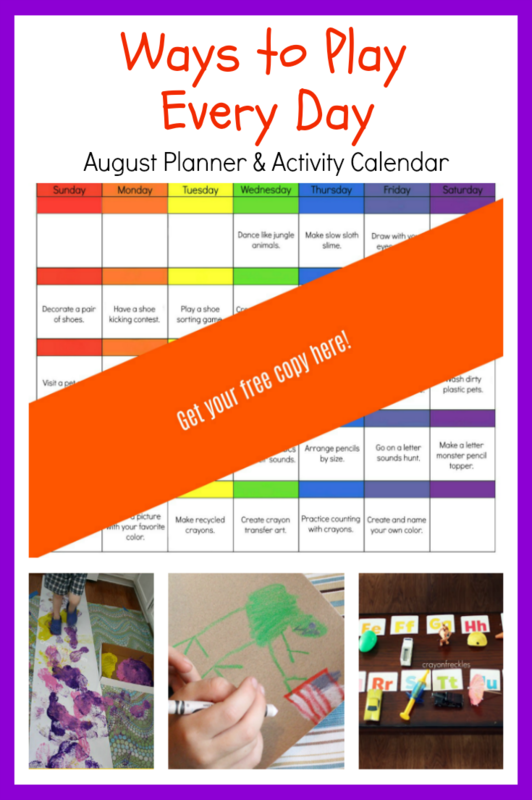 This free August activity printable can be used by parents in their home or by preschool teachers in the classroom in many different ways. Follow the calendar daily for pre-planned activities based on each week’s book list. You might also choose activities to complete at random or as a source of inspiration to accompany other activities or curriculum for August. Below you’ll find a description of each August calendar activity in the calendar, as well as links to corresponding activities, printables, and book lists that you can use to supplement each one. 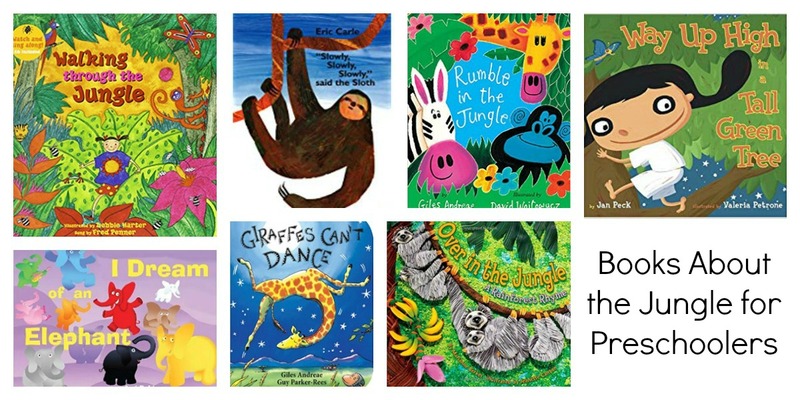 Dance like different jungle animals. Make sloth slime (it’s just really slow). Draw a picture of an elephant with your eyes closed. Decorate a pair of white canvas shoes. Have a shoe kicking contest. Play a shoe sorting game. Create art with your shoeprints. Practice putting on/tying your shoes. 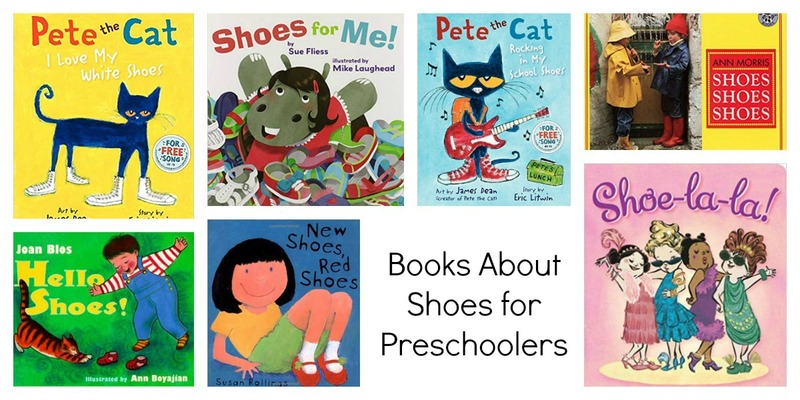 Measure items around the classroom/house with your shoe. 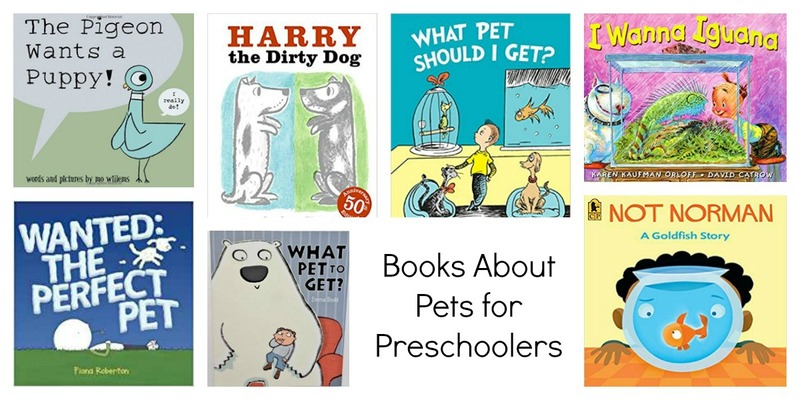 Visit a pet store and find your perfect pet. Draw a picture of your favorite pet. Visit a vet clinic and find out how they care for animals. Collect used blankets for a local pet shelter. Play a game that matches pets to their homes. Wash dirty plastic pets in soapy water like this. 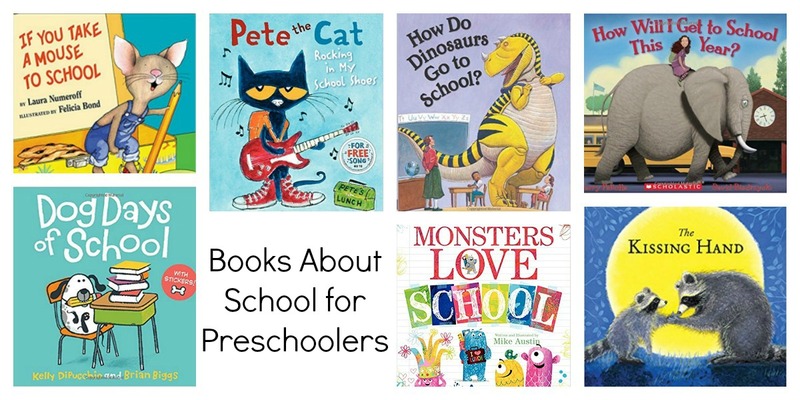 Read books about going back to school. Trace your hand and save it to compare sizes on the last day of school. Draw a picture about your first day of school. Practice singing and identifying the ABCs and their sounds. Arrange pencils by size or other similarities. Go on a letter sounds hunt. Make a letter monster pencil topper. 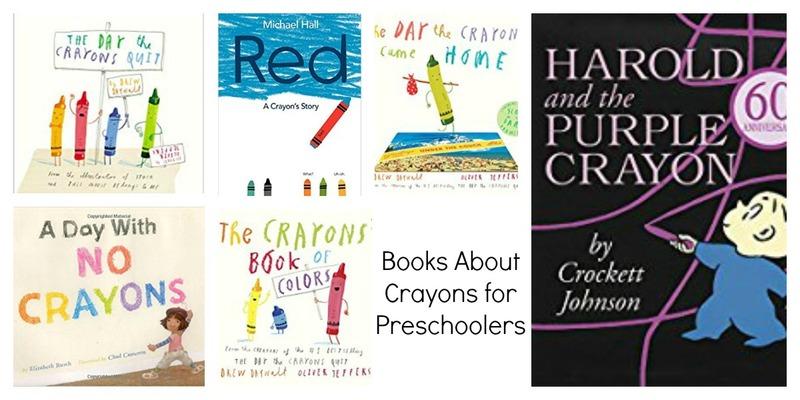 Draw a picture with your favorite color crayon. Make your own recycled crayons in fun shapes. Mix paint to create your own crayon color. Give it a name. 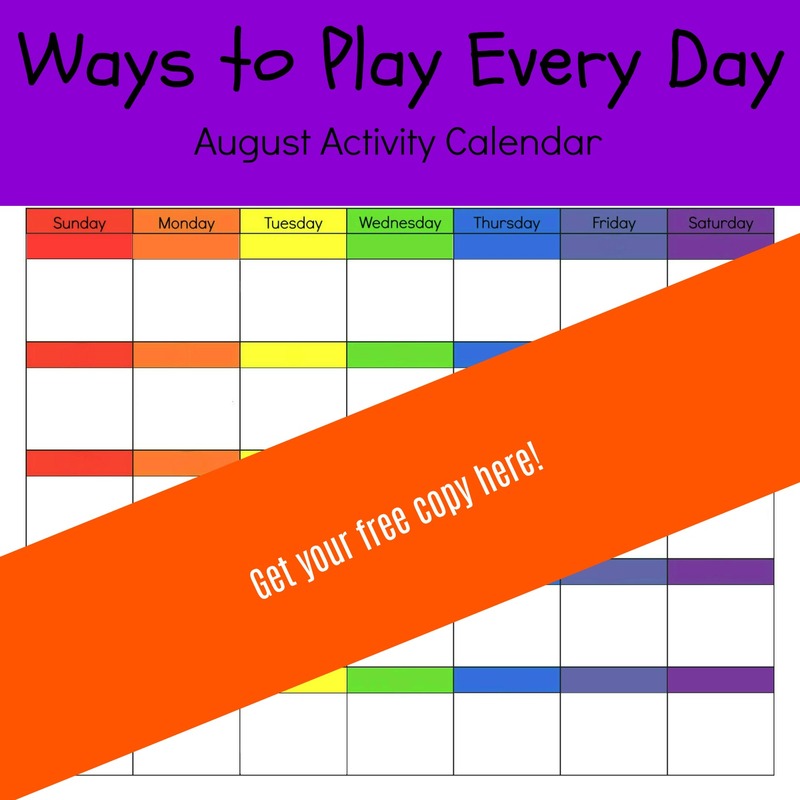 Let the Ways to Play Every Day: August Activity Calendar for Preschoolers inspire you and your preschoolers to explore, create, and learn together each and every day. « Playful Learning with Engineering, ABC’s, and Numbers in Preschool!